President Obama issued a Presidential Proclamation and posted a video, about Martin Luther King, Jr. Day 2015. 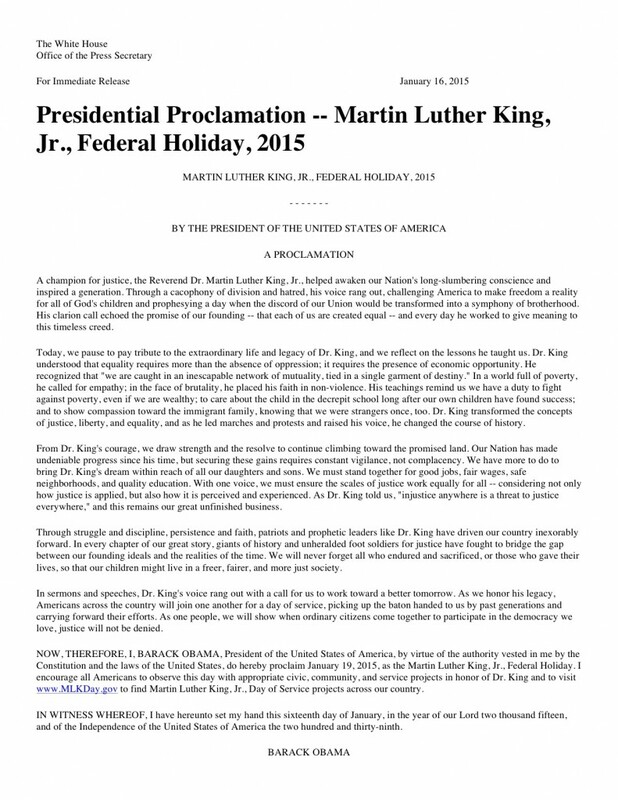 The proclamation is worth sharing, so I have posted it below. You can also find it at the link above.